I spent part of the weekend watching the Netflix show, 'Bo Jack Horseman'. One of the characters of the animated series is a dog named Mr. Peanut Butter and he can never get the expression right, "We go together like chocolate and peanut butter". I am allergic to peanut butter, so I ate Chocoley's Bada Bing Bada Boom Chocolate Melts with Biscoff cookie butter spread instead. It is delicious. 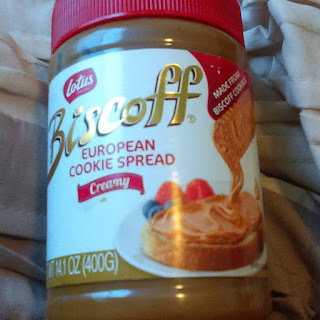 I know people loved Nutella, but Biscoff cookie spread is my favorite. I have loved Biscoff cookies since having them on a Delta flight many years ago. Here's a recipe for Biscoff cupcakes. By the way, the Bada Bing Bada Boom chocolate melts don't require any tempering. You can melt chocolate in the microwave or using a saucepan. 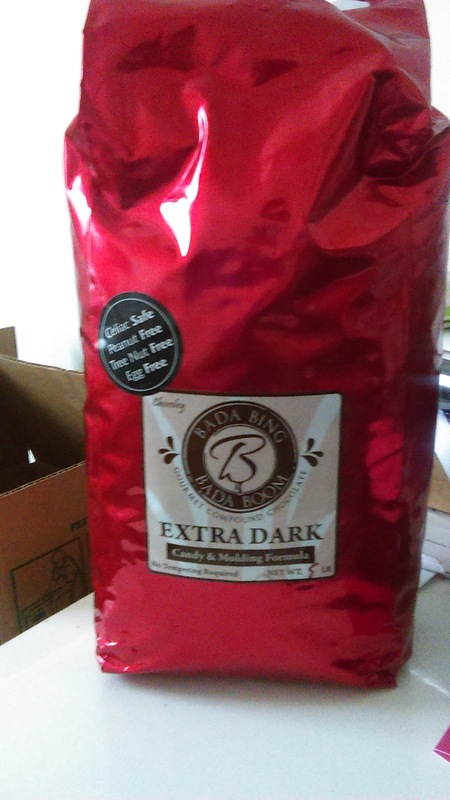 The Bada Bing Bada Boom chocolate melts are great for making ganache for cupcake frosting or use for cake pops.